Explore animal movement with this mini packet of Science printables! Explore animal movement with this science packet of printables and activities. 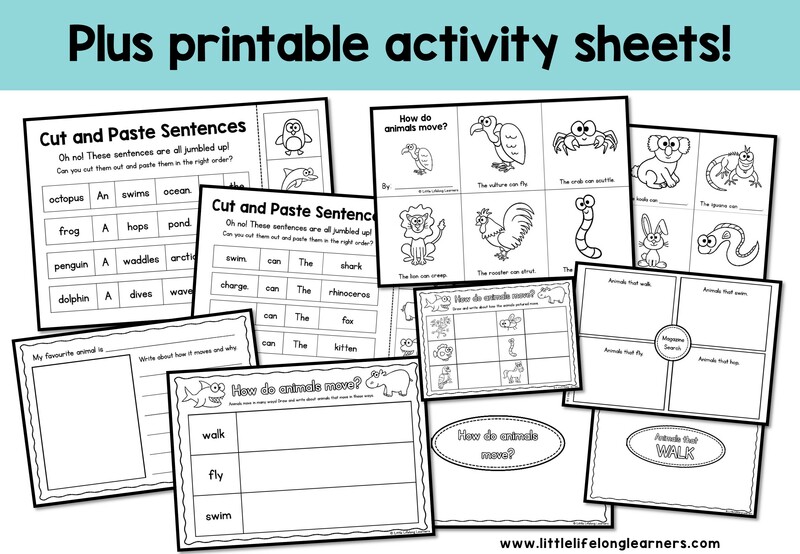 Your little learners will LOVE exploring animal movement with this mini packet of printables! 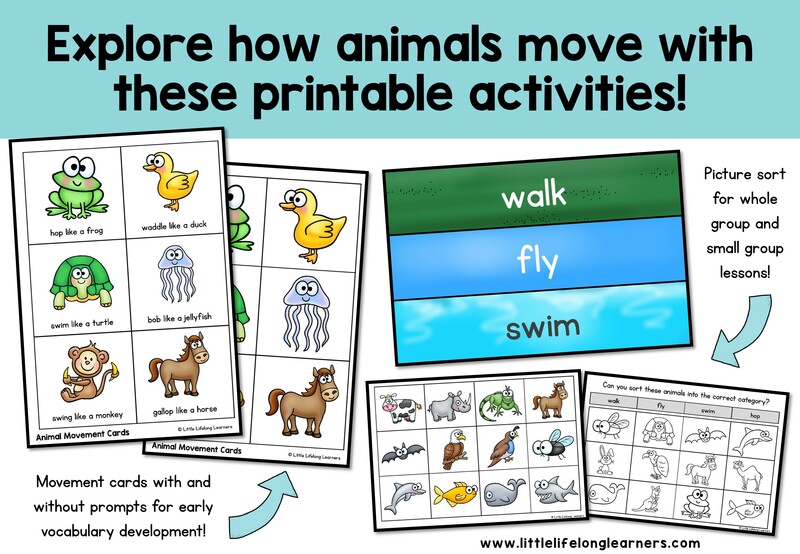 Featuring animal movement cards, graphic organizers and more, your Prep and Foundation students will love learning about how animals move with these fun printables! Click here to save 20% by grabbing this unit as part of my bundle! Featuring 29 pages of simple printables, your students are sure to love learning about the different ways animals can move. Set of 18 Animal Movement Cards (with and without prompts to build movement vocabulary). Posters for recording animal movement words and animals that walk, swim, fly and hop. Whole class coloured animal movement picture sort (walk, swim, fly). Individual B&W animal movement picture sort (walk, swim, fly, hop). ‘How do animals move?’ drawing and writing prompt. Cut and paste sentences (eg. The rhinoceros can charge). Cut and paste sentences (eg. A dolphin dives in the waves). ‘How do animals move?’ mini sight word books (completed and fill-in versions). ‘My favourite animal’ writing prompt. Magazine search activity – animals that walk, swim, fly and hop. 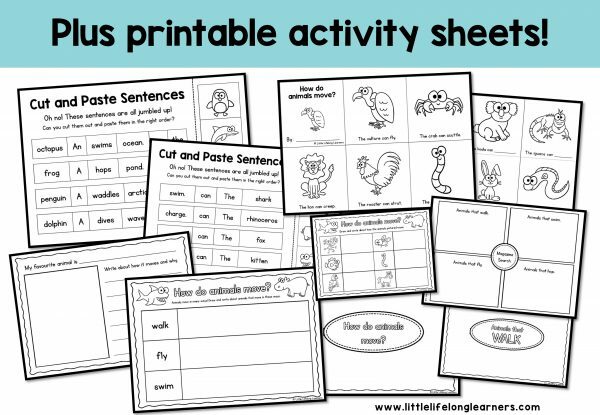 Your little learners will love learning about how animals move with these hands-on activities and printables! This packet is the perfect supplement to your movement unit of work. While I design my resources with Australian students in mind, I also include alternative US spelling!